Motorpoint is offering savings on some used Vauxhall Astras. Details below. 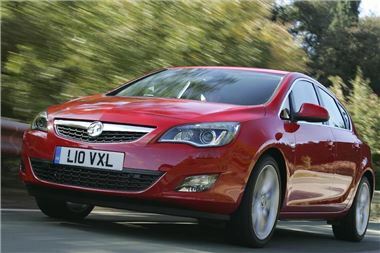 The car supermarket giant has rocketed down the price of the 10-Reg 1.4T 16v SE 5dr version of the popular hatchback to £10,999 – a saving of £9,619 on the list price of a new Astra 1.4T SE with options. This particular model comes with Air Conditioning, Half Leather Trim and Metallic Paint as standard. Motorpoint has equally stellar savings available on a 60-Reg 1.6i 16v Elite 5dr. This particular model is currently only £11,999 – a saving of £8,335 on its list price when new. And, for those after a diesel version of the Vauxhall Astra, it is selling the 60-Reg 1.7 CDTi 16v ecoFLEX SRI 5dr for £12,999 – a saving of £7,480 on its list price when new..